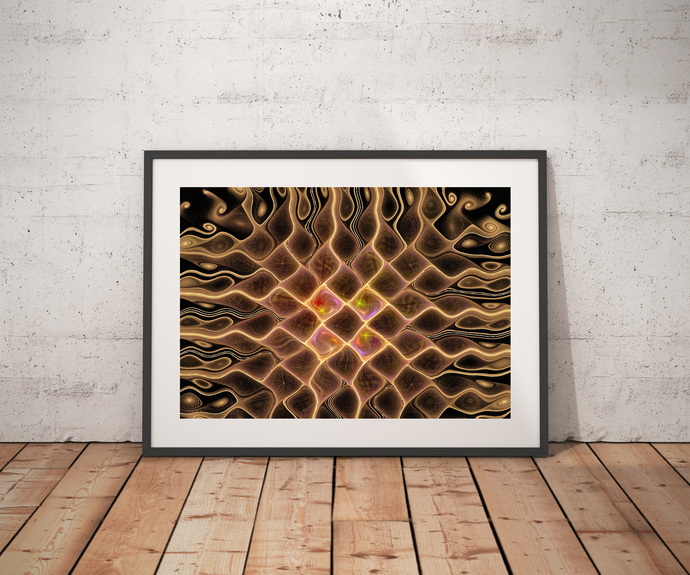 This abstract art highlights the marriage of technology with fine art through fractal art. Featuring a striking contrast of impregnable blackness overcast with swooping lines of brown, pink, red and white, this abstract art print evokes a sense of wonder, reflection, and illusion. Dubbed “ The Square Dimension "